Everything you’ve been told about building and breaking habits may well be wrong. Or, at the very least, missing a critical middle step. In this week’s episode, we bust myths and share how to do it right (hint, there are 4 different approaches and if you choose wrong, you will fail). Creating good habits is one of the master keys to living a good life. But, it’s hard. Really hard. And, it turns out, the reason it’s so hard may not be your fault. It may, in fact, be that you’ve been given misinformation. 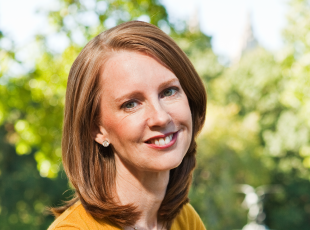 According to mega NYT bestselling author of The Happiness Project, Gretchen Rubin, in her new book, Better Than Before, there’s been a missing piece in the habit puzzle, and she’s got the answer. 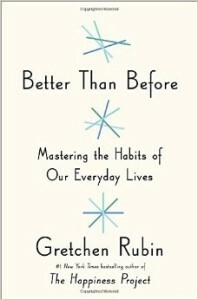 In this fast-paced, incredibly-revealing conversation, Rubin lays bare the myth of the one-method-for-all-people approach to habits. To create or change a habit, she offers, you first need to understand which of four key personality types you are. Then, tailor your approach to your specific personality needs. We dive into each type, how to figure which you are and how that changes the way you’ll need to build or change your habits. By the end of this episode, you will definitely be interested in knowing which you are, so I’ve linked the online personality typing tool she’s created below to figure out yours. What are your thoughts on how The Happiness Project has evolved into a brand? Is the audience that loves The Happiness Project who you thought it would be? What’s the difference between a behavior and a habit and why does it matter to turn one into the other? What is the role of forming habits in living a good life?